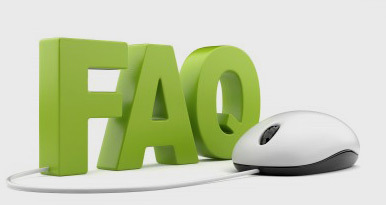 This is a list of our most frequently asked questions. If you can not find here the answer to a question you may have, Please Contact Us. We are committed to customer service and strive to answer all your questions as quickly and thoroughly as possible. Question1. How are we going to find you at the airport? Question2. What happens if it takes me a long while to exit the terminal? Question3. If my arrival time changes what should I do? Question4. How is the procedure at the dominican airports? Question5. How good is your service? Question6. How secure is the payment online through your website? Question7. How do I pay you if I don't have a PayPal account? Question8. What kind of vehicles do you use? Question9. I am travelling with a larger group. Do you have a quote per person? Question10. What payment options do you offer? Question11. What if I do not want to pay the total amount on line? Question12. I booked a service on your site but now I need to cancel. What can I do? Question13. Where are you located? Question15. If I book one of your regular flights. Where do I find your counter at the airport and when do I have to be there? Question16. We want to travel from or to a destination that is not found in your automated system, can you help? Question17. How do I go about getting a quote? Question18. What are my options to do the payment? Question19. Do you provide car seats for children under 3 and for how much? Question20. Do I receive a confirmation when I book? Question21. I have not received a booking confirmation email - is there a problem? Question22. Do I need to reconfirm my reservation? Question23. Can I add an additional passenger(s) to my existing reservation? Question24. What time will I be picked up on the return leg of my journey? Question25. The pick-up time you scheduled seems too early. Can I get picked up later? Question26. My luggage has been lost, can you collect it for me later? Question27. What if I can't find my driver? Question28. Lost Property - I think I have left something in your minibus, how do I go about getting it back? Question30. I would like Dominican Quest to use a specific route for one of my transfers, what can I do? Question1: How are we going to find you at the airport? Answer: Your cordial and professional driver will be waiting for you at the arrivals exit in the airport holding a sign with your name for easy identification. He will then assist you with your bags to the vehicle parked in front of the airport. From there you will be driven straight to your hotel or private residence. Question2: What happens if it takes me a long while to exit the terminal? Answer: If the whole arrival procedure, immigration, baggage claim and customs inspections, takes a long while, please don't worry, we know this and our drivers will wait for you as long as needed. Question3: If my arrival time changes what should I do? Answer: The day of your arrival we will be monitoring your flight all day, this way we will have your vehicle ready when you arrive. Please don't worry about delays, arriving early or any minor change, we will know exactly at what time you will be landing and your vehicle will be ready. If your flight changes and you are arriving in a totally different flight at a totally different time, then please contact us and let us know the new flight information, we will update your arrival and move your vehicle to the new time. Question4: How is the procedure at the dominican airports? Answer: When you arrive to the airport, first you are going to go through immigrations where you have to hand out your tourist card or purchase one if it has not been provided to you before the flight. You will also have to fill out a form, then you will be guided to the baggage claim area where you are going to wait for your luggage. Once you have your luggage you will proceed to customs. Customs procedures can take 5 minutes or 15 minutes depending on how many people are clearing customs before you. Question5: How good is your service? Answer: Going to your hotel with Dominican Quest is easy, straightforward and reliable. Our company is here to serve you and all of our services are 100% guaranteed. If you have any questions, please contact us. Question6: How secure is the payment online through your website? Answer: Well actually Paypal takes care of the payment process. The PayPal site is highly secure. It uses industry-leading technology (such as SSL) to keep your information safe. Question7: How do I pay you if I don't have a PayPal account? Answer: You can still pay us without having a PayPal account. If you don't have a PayPal account, you'll be automatically redirected to a secure page you can enter your credit card information. Question8: What kind of vehicles do you use? Answer: Among others, we use the Hyundai H1 Minivan. This vehicle comfortably holds 6 people including lugagge and is eqipped with seat belts and air-conditioning. We also have Toyota Hiace Techo Alto units with capacity for 10 people and luggage. We also have buses with more capacities for larger groups. Please take a look at our fleet section of the webpage. Question9: I am travelling with a larger group. Do you have a quote per person? Answer: We also have bigger buses. Just contact us with your request. Question10: What payment options do you offer? Answer: To book our services you can either make a partial payment or a full payment online through PayPal. If you choose to make a partial payment, the amount due has then to be paid upon arrival in cash to our driver at the airport. Upon request we could arrange for your to pay the whole amount upon arrival and our driver will give you a formal invoice. Question11: What if I do not want to pay the total amount on line? Answer: We also accept cash on arrival. In this case you can inform us and we can customize a payment link for a small down payment and you would pay the amount due in cash to our driver at the airport. Question12: I booked a service on your site but now I need to cancel. What can I do? Answer: This is our Cancellation Policy: 48 hours before scheduled departure time 100 % refund, 24 - 48 hours before scheduled departure time 50 % refund, within 24 hours before scheduled departure time or No Show NO REFUND. Question13: Where are you located? Answer: Some websites offer airport transportation services but they are somewhere in the United States. We are in the Dominican Republic and we can be of great help for the organization of your holidays in this beautiful country. Our offices are located only some minutes from the Santo Domingo airport and we have a local office and a parking lot near all major airports of the Dominican Republic. Answer: We also offer a whole rage of different excursions at the different destinations of the Dominican Republic. We can advise you to go on tours which would better fit you based on your preferences and needs. We have different excursions which are conducted at least once per week, others even daily. We can also organize private excursions and activities just for you or your group. Question15: If I book one of your regular flights. Where do I find your counter at the airport and when do I have to be there? Answer: For regular domestic flights you have to be 45 minutes before departure at the corresponding airport. Depending on the flight booked we will send you a confirmation mail with further instructions. Question16: We want to travel from or to a destination that is not found in your automated system, can you help? Answer: Yes. If your destination or pick up place is not included in our list please e-mail us at [email protected] with your details and we will reply with a quote and further instructions on how to book. Question17: How do I go about getting a quote? Question18: What are my options to do the payment? Question19: Do you provide car seats for children under 3 and for how much? Answer: Yes, we can provide car seats for children under 3 at not extra cost. Just specify this while filling out the booking form. Question20: Do I receive a confirmation when I book? Answer: Yes, you will receive confirmation by mail within 24 hours after your reservation, with all the details and instructions and our contact information. Question21: I have not received a booking confirmation email - is there a problem? Answer: There are a number of possible reasons for this, the foremost of which is that the confirmation email has been filtered into your junk file by the security settings on your computer. Please check in your junk file and if you are still unable to locate your confirmation, email or call us to ensure that your booking request has been received. Question22: Do I need to reconfirm my reservation? Answer: No - unless you want to that is. Question23: Can I add an additional passenger(s) to my existing reservation? Answer: Yes you can. Just contact us to amend your booking and make any additional payments if necessary. Question24: What time will I be picked up on the return leg of my journey? Answer: We will issue a set pickup time calculated in accordance to the flight departure time as stated by you on your booking form. Question25: The pick-up time you scheduled seems too early. Can I get picked up later? Answer: For international flights, we normally schedule the pick-up time so you arrive around 2 hours and 30 minutes before flight departure. We can reschedule your pick-up time, but we cannot be held for responsible for any incident that occurs as a result of client-requested changes. Question26: My luggage has been lost, can you collect it for me later? Answer: All airlines have handling agents. If your luggage is lost by an airline, go to the correct desk in baggage reclaim and fill in the relevant forms. They will organize for any luggage to be forwarded to your resort address at their earliest convenience. Should you wish to collect it yourself or make alternative arrangements, this is entirely up to you. Question27: What if I can't find my driver? Answer: This is something that rarely happens as we are very proud on our punctuality but if this is the case, firstly, do not panic. The driver is either already at the airport or very near, or in exceptional circumstances may have been delayed by unexpected congestion on roads or some other unforeseen difficulty. Please call us using the telephone number supplied on your booking confirmation form and we will resolve any issues as quickly as possible. Question28: Lost Property - I think I have left something in your minibus, how do I go about getting it back? Question30: I would like Dominican Quest to use a specific route for one of my transfers, what can I do? Answer: If you would like us to travel through a specific Highway just specify this making use of the field "Special Request" on our online booking form.